Ask for permission when taking a photograph of someone. If they indicate that they do not want you to, then abide by their wishes. DO NOT offer money or push the issue. Drink plenty of bottled water. During the summer months you should be drinking a minimum of two liters per day. If you drink tea, coffee & alcohol you should increase you water intake accordingly as these will help to dehydrate you. It is more likely that you may become a victim of a pickpocket or drive-by bag snatcher. The above advice is meant to help you have a perfect trip to Vietnam. Do not be overly paranoid though. Generally, Vietnamese people are very appreciative if they see you trying to abide by the customs, and very forgiving if you get it wrong or forget. If you make the effort, you will be rewarded. 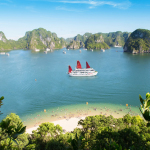 DO and DON’T in your Ha Long Bay Tour. Work with us clearly about your booking and your wishes. Make sure that everything is clear and you have nothing to worry when travelling with us. We always listen to you. Please feel free to give us your wishes of a dream holiday. The more information we have from you , the much more better we serve. 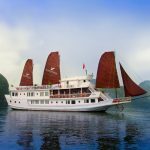 Make sure about the price , payment methods , terms & conditions , what is “inclusion” and “exclusion”, special request on tours, foods…And make sure that you are looking forward to your dream holiday in Vietnam and Halong Bay – The Natural World Wonder. Make sure you are on the right cruise with the right services. Leave your big luggages in the hotel or our office if you think they are not necessary. 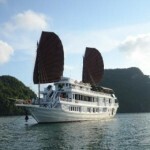 USD , EUR are accepted widely on board, Credit cards accepted on some boats only. Bring amount of cash for your own drinks and personal expenses. Tipping for tour guide , driver or crew team onboard is advisable unless you are unhappy and disappointed with their services. When you have a joining tour with more other people on the same cruise , obeying of regulations and schedule is always appreciated and respected. On a private tour , this is more flexible and comfortable. Pollute the environment by throwing garbage to the bay and surroundings. Buy corals , animals or plants from the locals which are taken from nature. Loose temper in case of something wrong or confusion ( if any ) happening during the tour. The calm is always the best solution. 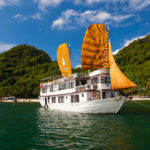 And DON’T :Hesitate to tell us all what you wish for your trips or you would like to extend your holiday to any places in Vietnam and Indochina countries. We are always happy and willing to serve and satisfy you with your travel needs. Please feel free to contact us for more detailed information. We are always with you.